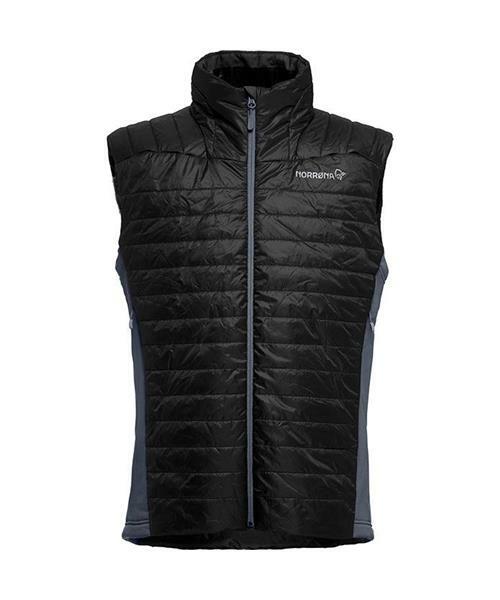 This is Norrona's lightest and most packable insulated vest for all season use for men. The vest is a windproof insulation garment that can be worn alone, or in combination with a shell jacket. The PrimaLoft100 provides good insulation even when it´s wet, and has a higher warmth-to-weight ratio than fleece. They’ve added Power Stretch side panels for increased fit. The vest can easily be compressed into a Packable Pocket making it a natural addition to your pack. Additional functional features include above harness hand warming pockets, a warm and weather protective collar and a one handed elastic adjustment in the hem. * PrimaLoft Silver is the new performance standard in fine denier, high loft continuous filament insulation and features superior compressibility, softness and product consistency for maximum warmth and comfort. Silver 100 weighs 100 grams per square meter.